The 2018 Chevrolet Colorado continues to build on the momentum of its successful introduction just a few years ago. This year marks 100 years of Chevy truck with a Special Edition 100th-Anniversary model. Love my Chevy Colorado, it has been the most reliable vehicle I have owned. I just bought my Chevy Colorado a few months ago and I love it. I have used it to haul flooring and dirt bikes and it has never given me any issues. It drives very well and I love that the tailgate has a light in case you are loading anything in the dark. The tailgate also locks which makes it feel safer. I also love that the dashboard has features you can switch through to look at the pressure of your tires all the way to how many miles are left until empty. Fast and smooth as a BMW but can tow like an f150. 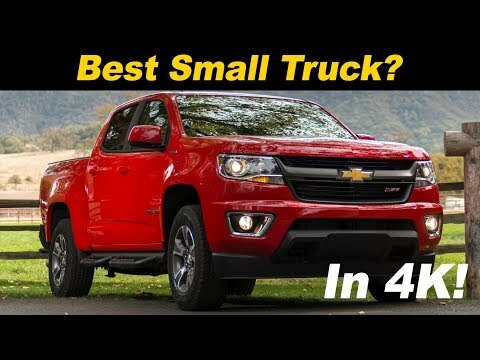 The Chevy Colorado is a great truck. It can tow a boat while looking not like a "truck. " It has a very smooth ride, and it can pick up speed nicely. The front seat is extremely comfortable. Also, the backseat is very spacious for other passengers. The bed of the truck can fit almost anything, and it has a shield which prevents dents. I would definitely recommend this car to anyone who asks. My vehicle is a great casual vehicle. It has a large interior than a normal car would. It has a really good/smooth drive, and I can really rely on it to be a good car. There are few problems, like ac, and it does not have the best ac in the world, and could use improvement. The comfort is nice, and the seats I have customized to be leather, high quality, with very good comfort ability.